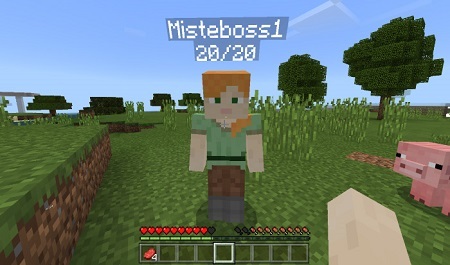 Robotic Servant Add-on is your opportunity to have a new friend in the world of Minecraft PE. In your game there will be a new creature that can help players in different situations. So, this is a robot with one luminous eye. He will constantly accompany his master as a pet and at the same time defend against ill-wishers who want to harm the player. 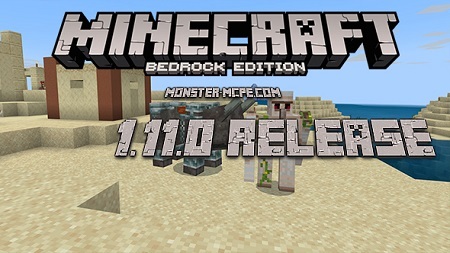 New adventures in Minecraft with this mod will become incredibly exciting! In the game world will appear servant robots, which will replace the already existing standard creatures. 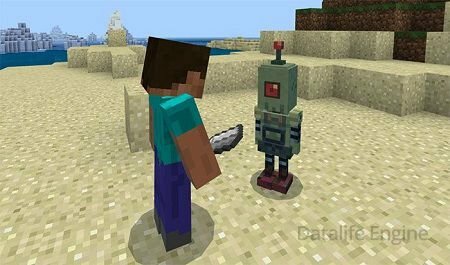 Instead of skeletons in Minecraft PE, there will now be robots. Thus, they will randomly appear at night, and you can find them in the same locations as skeletons. You can tame the robot, for this feed it with ingots of iron. 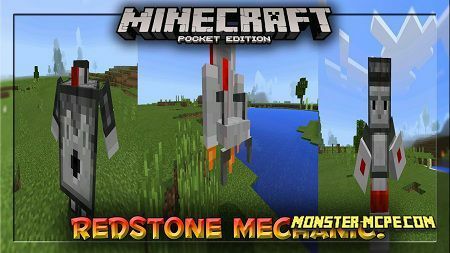 iOS / Android: Take an Iron Ingots, long tap on the Robot and tap the button, then it will be tamed. 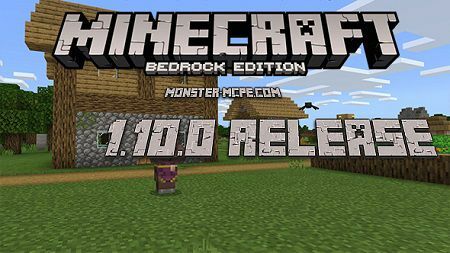 W10: Right-click on the creature with an Ingot for taming. The main task of the robot in addition is to protect its master. The robot will move quickly and constantly protect you from evil monsters. 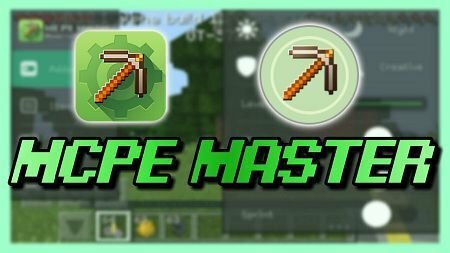 Well, this is a great way to brighten up loneliness in traveling through the unexplored expanses of the game world of Minecraft Pocket Edition. Moreover, the robot servant will also help you.If you give the robot a stone pick, then in the end you can get in return valuable resources, stones and ore to create items!